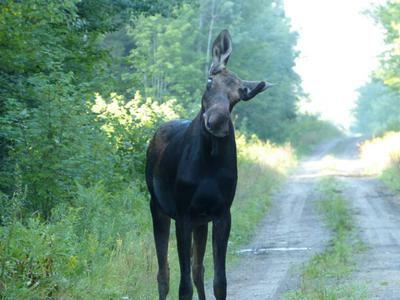 Why cant the DNR come up with a vaccine to stop the brainworms in moose? Sad that we just let it happen to our wildlife! I'm not so sure a vaccine against brainworm would be very effective. Developing vaccines is a very costly and time consuming effort. Once the pharmaceutical was developed there would remain the task of distribution. Moose are far ranging and widespread, the likelihood of vaccinating every moose that live in areas where they can contract P. tenuis would be slim. The main host - the whitetail deer who are unaffected by the worm should have to be treated too. That just wouldn't happen. There are just too many of them. As I understand it the moose brain worm deaths in eastern North America are undergoing further study. The results and or solutions may not be available for many years to come. Seems to me that if a moose population is in an area (a town, for example) then a vaccine could be used for that region if infestation is a risk. I wouldn't want to rule out a vaccine simply because the rnage for an individual moose is large. Places where moose are at risk may have low numbers and so individuals can be vaccinated. As far as the deer, I suppose it depends on where they travel and how the vaccine is disseminated. WHo has sought answers to this from a moose biologist? Why not save as many as we can? Can we decrease the aim of predators? Get rid of wolves. Hunt more deer and or vaccine the carriers.